I've got just over 6k miles on my SE. 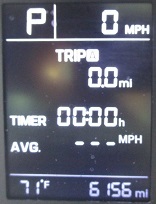 At 160 miles on the current tank I'm showing 47.6 mpg average. 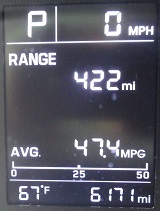 I know it isn't accurate, last tank showed 44.5 and was actually just under 42. Still over the EPA estinate. I'm happy. Red Raspberry and MobileSonata like this. That is impressive either way. 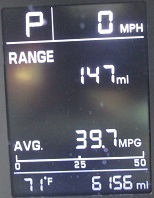 I've been averaging around the US EPA estimate since I drive a mix of city and interstate, so I'm typically around 32mpg in real life, and 36mpg on the cluster. Agree , gas mileage is a + . Here's the newest fill . Display and calculated off for average around 3.3 M.P.G.. The car still has 4 winter studded tires . Hope to get them off in a few weeks . . Click banner for all fill-ups . Last edited by Odie!! ; 04-10-2019 at 04:17 PM. One time I filled up and immediately got on the interstate, after 30 miles (I think slightly downhill for the most part, to be fair) I noticed my MPG was at 54. 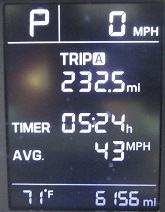 Typically it's between 37-42 in the city and around 45-48 over the duration of road trips. When I'm late for work and use sport mode in the city it's 28-36. Use Sport mode for climbing hills . Comes in handy trying to get distance between you and a tailgater . Engage warp speed ! See ya later tailgater . Last edited by Odie!! ; 04-12-2019 at 01:20 PM. I have to say that I'm QUITE impressed with how capable the drivetrain is as a whole. It might not sound pleasant, but even at interstate speeds, this generation Accent seems more than capable of getting up to speed, keeping speed, and even surpassing speed if necessary. 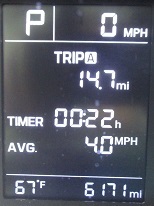 I got 45 mpg consistently if cruise is set to 68mph on my daily commute. If i slow it down to 60mph, I can get 50mpg all day long. Are using the display for gas mileage ? If so , that's off by 3>5 M.P.G. over calculated gas mileage . It's a bit deceiving . 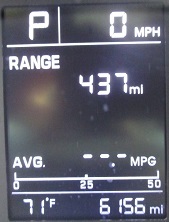 Be nice if you could calibrate the gas mileage for more accurate fuel economy . Like that of the Scan Gauge or EcoMeter . Shouldn't be that difficult for manufactures to include . Why do you think it's off? From what I can tell the miles-to-empty calculation is pretty accurate for a 10 gallon tank so they should be able to calculate MPG pretty easily from that.